Now Is Your Last Chance for Heating Repair Services! Okay, well it’s not the last chance ever, but winter is quickly coming to a close and it’s the last chance for timely completion of any of your repair needs. Now is the right time to wrap up any lingering problems you might have with your heating system. If you take care of any issues that you’re having now, it will square everything away before we transition into the warmer temperatures of spring and summer. Give yourself peace of mind this year and schedule your heater repair services now. When you’re on the hunt for quality heater repair service in St. Augustine, FL you might find yourself running into lackluster HVAC service teams. If that’s something you’re concerned about then make sure to contact our team today. If you’re not sure when you should call for heating repair services, consult this quick guide below. Balking at the sight of your heating bill this winter? You can expect to see a higher heating bill when you’re running your heater more often in winter, but if you’re getting super high heating bills without any real correlation with how you run your heating system in your home, then you’re having trouble with your heater’s efficiency. This is a problem that you need to let a professional member of our team resolve. Make sure that you contact our team sooner than later when you need these services. If you notice that your heater is running for an extremely long amount of time or start and stopping frequently, make sure that you contact our team here at Climate Masters. Whether your heater is running for an extremely long amount of time or an unreasonably short amount of time, you’re having trouble finding a balance within your system. Not only is this hard on your heater, but it’s also bad for your efficiency levels. The result is a heater that will break down much sooner and a heater that will cost you more money while it runs. Hearing weird things coming from your heating system? This is a problem that could potentially denote a myriad of problems. A few common noises that you might hear from your heater are rattling, banging, clanking, grating, or squeaking. When your heater switches on, there really isn’t anything that you should be able to hear other than the sound of air moving through the vents in your walls, attic, etc. 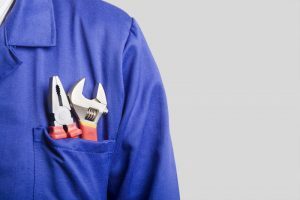 If you’re noticing ostensible noises then it’s time to call a professional for repair services. There are quite a few HVAC companies in the area, but there’s really only one that’s going to get the job done with superior service and that’s Climate Masters. If you’re looking for quality service, make sure that you contact our amazing team. We even offer 24/7 emergency service if you have an urgent repair need. If you’re ready to repair your heater after a long winter, make sure that you contact our team here at Climate Masters. Your comfort is our top priority.